“I think our songs would sound kind of lame out of tune”, chuckles Peter Brewis, who, alongside his brother David who alternates between lead vocals and drums, forms the solid core of art rock band Field Music. And he’s right. 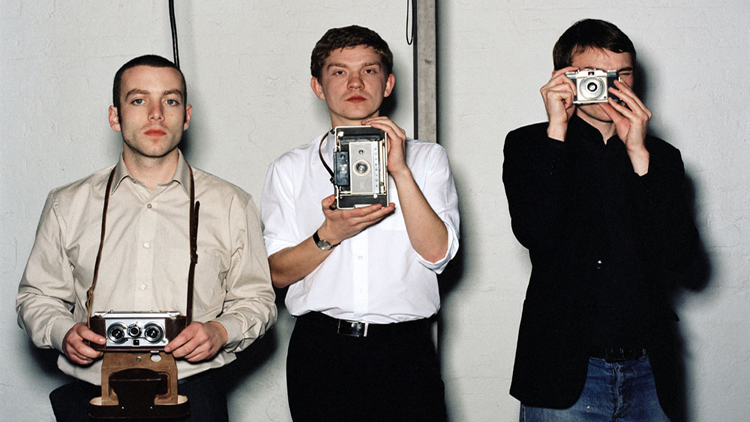 While other punkier bands might get away with a few off-key strings and missteps in timing, Field Music rely on the incessant seamless splicing of complex song structures over mind-boggling rhythm patterns and the odd heady funk guitar solo, that always amazingly manages to rise above the tangle of instrumentation underneath. The band are strongest on their newer material with songs from 2016’s Commontime and this year’s Open Here, delivering rich harmonies and powerful builds that make a few of their older songs seem a little aimless in comparison, jumping between disparate melodies without giving us enough time to settle into the song. ‘Disappointed’ stands out as a firm highlight with David – the more dynamic of the two singers – jumping across the whole of his wide vocal range in just the single word of the title. That’s not to say that older songs don’t hit the mark (everything they play sounds flawless and the choir-like introduction to the menacing PJ Harvey style rhythmic guitar of ‘Just Like Everyone Else’ attests to this), but I can’t help feeling that despite having so much going on there’s something missing. Peter assuages the disappointment of the 10pm curfew with a light-hearted “This next song is twenty and a half minutes long”, and while it was nearer the five-minute mark, set closer ‘It’s Not The Only Way To Feel Happy’ from the first of their two eponymous albums makes me doubt my scepticism. The song is beautiful and simple but, like everything they’ve played tonight, shows the work of a truly singular, virtuosic band.